This is a story that has been kept confidential (except for a few very close friends) for over a year now. But it’s time for me to share it, plus more. Mother is asking me to share this now. In the winter of 2014 while I was in the “cave” writing The Great Mother Bible, something odd happened one night. I believe it was in February that winter, after I had been hunkered in with the wood stove and Mother listening and writing (and hanging out on Facebook a bit too much) for more than a month. Late one night a strange stench came into the house where I was renting. It was similar to a skunk smell but different, and I found it rather offensive. It was not anything I had smelled before and was suspect in my mind. A gifted intuitive friend of mine who I was chatting on FB with tuned in and could discern that it was something spiritual and we both agreed that it needed to be cleared. I felt it was something in the spiritual realms too but needed the confirmation from someone else to try to suss it out as best as I could. So late that night I lit up my smudge bowl and stomped around the house and did all that I had been taught to ‘claim the space’ for the highest good. Yet the smell still lingered in my bedroom all night, not as strongly but still there. The next day I contact a gifted Native elder friend about this smell. He immediately started chuckling and told me that Sasquatch had come in to support me. This was a bit of an honor according to him since Sasquatch or Bigfoot beings are considered guardians of Earth Mother. And if someone is working very closely with Earth Mother then they will come forward in various ways as guardians too. He shared that with me and then proceeded to tell me a story about some Sasquatch approaching him somewhere out west. I honestly don’t remember all the details of that story in this moment. It was a fun rambling of how they came to visit him at some trailer park or something along those lines. Mind you, this is a medicine man who told me when I planned to visit him two years ago that “there will be adventures”. He lives an ongoing set of adventures that will leave your jaw dropping to the ground again and again, in a fun, good way. And Earth Mother loves him for all he does for her. 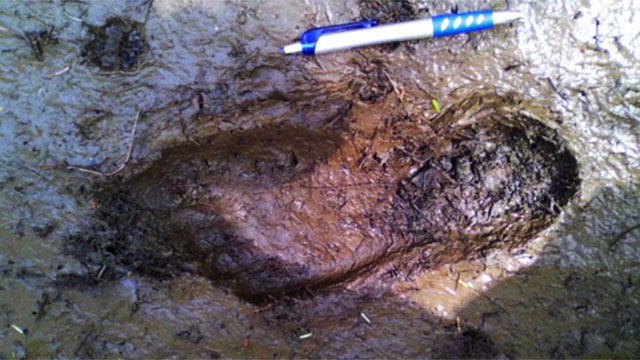 I have been keeping this story quiet since it’s on the more extreme end of whoo-woo-ish for someone to say that Sasquatch came to visit one night, much less in the Mid-Atlantic region so close to DC and Baltimore. Sasquatch is not known to be in these parts, for those who believe. Plus there is this lingering angst I’ve had way too long about people (ie, family members and older friends) thinking I have two or three heads in this less spiritually open part of the country. I’ve been diligently working on squelching this angst for some time. The good news is that I’m getting better. Finding more courage to tell these stories. So … last night I get home after a long day away from my space and discover an email from a friend with a link to 50 messages from some Sasquatch in western Canada on a website called http://sasquatchpeople.com which belongs to the Sasquatch expert and author, Kewaunee Lapseritis. I was too tired to open up my computer and just lay on my bed reading and scrolling on the smartphone. And scrolling and scrolling. It’s very long set of messages that the Sasquatch have shared with a gifted “listener/mystic/medicine man” named SunBow TrueBrother of British Columbia. I was fascinated and yet could not read the whole collection of messages in depth last night. I will be printing them off and studying them shortly. They corroborate much of what Mother has shared with me but taken it far deeper. The Sasquatch are quite mischaracterized and misunderstood. They are highly evolved, very intelligent telepathic beings who seek to work with humans the way they used to in earlier times, before ‘modern’ civilization. They consider themselves the Elder Brothers and we are the Younger Brothers. Rather similar to the Kogi people in far remote Columbia who use the same terms, actually. These messages are powerful and needed to be shared far and wide. We need the Sasquatch here on the planet to continue to do important spiritual work for Earth Mother that we are supposed to be doing with them. Mother loves them dearly and I’m starting to appreciate them more after reading this. They are sensitive, significant beings and are quite aware of how they are ridiculed in our media and it offends them. 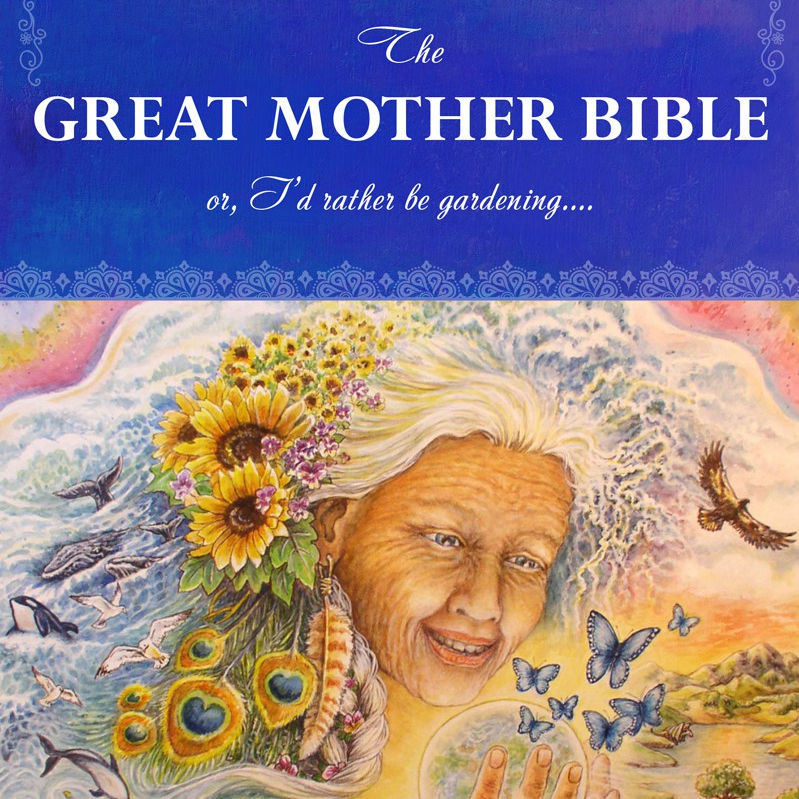 One part of the messages from them that was repeated several times was for us to reconnect with the Soul of Earth Mother. And this is exactly the writing that I put out with Mother’s messages of wisdom and compassion … an invitation to reconnect with her Soul. I love the way this is worded in the Sasquatch messages. I suspect that the Sasquatch found me rather humorous in my attempts to clear that one out of the house back in the winter of 2014. I can’t say whether they have continued to linger around me since that evening. Perhaps they have. It’s hard for me to say since I’m not that gifted in discerning exactly who and what is around me all the time in the spiritual realms. I would like to have the capacity to do solid ID check when it comes to these spiritual beings, but that is easier said than done. Maybe someday I can do that but am not there yet, at all. Please feel free to share these messages widely. They need to go far and wide. Mother loves these Sasquatch friends so much and they are doing critical work for planet, along with the dolphins, whales, nature spirits and others. We need all of them for this New World to be birthed as beautifully and gracefully as possible.